THE STORY OF THE MILKY WAY, A CHEROKEE TALE by Joseph Bruchac (Abenaki) and Gayle Ross (Cherokee) with paintings by Virginia A. Stroud (Cherokee-Muscogee (Creek))(Dial, 1995). A spirit dog has been stealing the corn meal, and he can be driven away only with the combined efforts of a young boy, Beloved Woman, and the entire village. 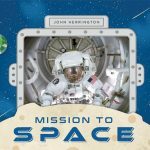 Read this book to find out why the Cherokee people call the Milky Way “the place where the dog ran.” In “The Origin of the Story,” Bruchac and Ross share how they came to know and be inspired by the story. Stroud’s artwork depicts of Cherokee life in the early 1800s, after the coming of the Europeans and before the Trail of Tears. 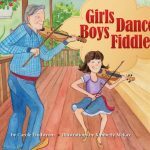 In a wrap-around, her illustrations show how Cherokee people today pass down their traditional stories to children. Ages 4-up. 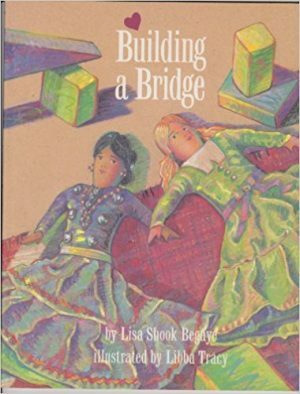 BUILDING A BRIDGE by Lisa Shook Begaye, illustrated by Libba Tracy (Northland, 1993). Begaye is married to a noted Diné (Navajo) artist. On the first day of kindergarten, Mrs. Yazzie encourages Juanita, a Navajo girl, and Anna, a white girl, to work together to build a bridge of magical multi-colored blocks. Ages 4-up. THE GOOD LUCK CAT by Joy Harjo (Muscogee (Creek)), illustrated by Paul Lee (Harcourt, 2000). Aunt Shelly says that Woogie is a good luck cat. As he survives one scrape after another, her analysis seems to be right on target. But one day when he doesn’t come home, we wonder if this good luck cat’s ninth life has run out. This is a delightful look at the daily-life friendship between a cat and a young girl. Ages 4-up. 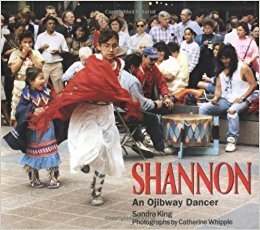 JINGLE DANCER by Cynthia Leitich Smith (Muscogee (Creek)), illustrated by Cornelius Van Wright and Ying-Hwa Hu (Morrow, 2000). Jenna, a Muscogee (Creek) girl, wants to jingle dance at the upcoming powwow. With time running short, she seeks the assistance of women of her contemporary intertribal community in bringing together her regalia. A story of reciprocity and respect. Ages 4-up. A MAN CALLED RAVEN by Richard Van Camp (Dogrib), illustrated by George Littlechild (Plains Cree)(Children’s Book Press, 1997). Chris and Toby go after a raven with their hockey sticks, but a mysterious man enters their lives and his story changes their view. Ages 5-up. 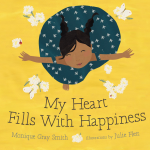 MY HEART FILLS WITH HAPPINESS by Monique Gray Smith (Cree-Lakota) (Orca, 2016). The sun on your face. The smell of warm bannock baking in the oven. Holding the hand of someone you love. What fills your heart with happiness? All ages. More on this title from Cynsations. Compiled from promotional materials. SONGS OF SHIPROCK FAIR by Luci Tapahonso (Navajo), illustrated by Anthony Chee Emerson (Navajo) (Kiva, 1999). All the joy, excitement, family love and creativity of the fair brought to life. Ages 5-up. 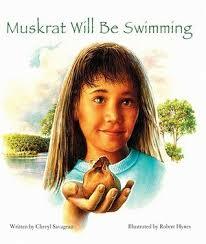 SKYSISTERS by Jan Bourdeau Waboose (Ojibwe), illustrated by Brian Deines (Kids Can Press, 2000). Big sister Allie and little sister Alex bundle up, venture into the night, encounter a deer, dance beneath the stars, and watch the northern lights. Lovely. Ages 5-up. 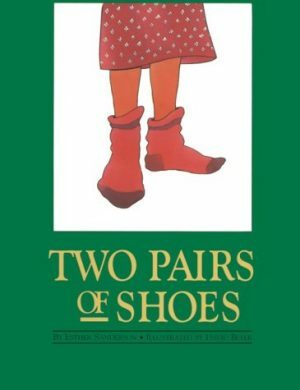 TWO PAIRS OF SHOES by Esther Sanderson (of the Pas Reserve) and illustrated by David Beyer (Cree)(Pemmican, 1998). 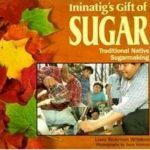 For Maggie’s eighth birthday, she receives a pair of black patent shoes from her mother and a pair of moccasins from her Kokum (grandmother), who reminds her there are times and ways to wear each. Ages 3-up. 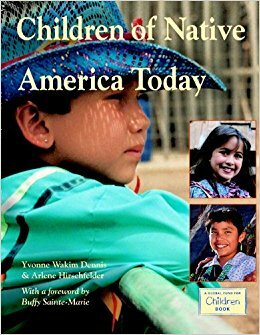 A WALK TO THE GREAT MYSTERY by Virginia A. Stroud (Cherokee-Muscogee (Creek)) (Dial, 1995). 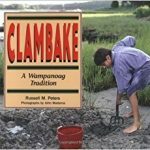 Dustin and Rosie take a walk with their Grandma Ann, a Cherokee medicine woman, and gain insight into the Great Mystery. Ages 4-up. WHERE DID YOU GET YOUR MOCCASINS by Bernelda Wheeler (Cree-Saulteaux-Scottish-French) and illustrated by Herman Bekkering (Peguis Publishers (now Portage & Main Press), 1982.). 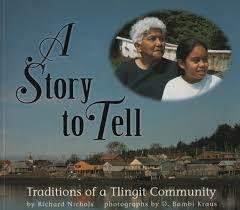 Introduces the balance of traditionalism and contemporary life to very young children. Ages 3-up.